We made an Earth-friendly decision to use a conference app that contains the calendar, selections, presenter information, slides, and many additional features that paper simply can't offer. Follow the directions to install the app on your favorite device. 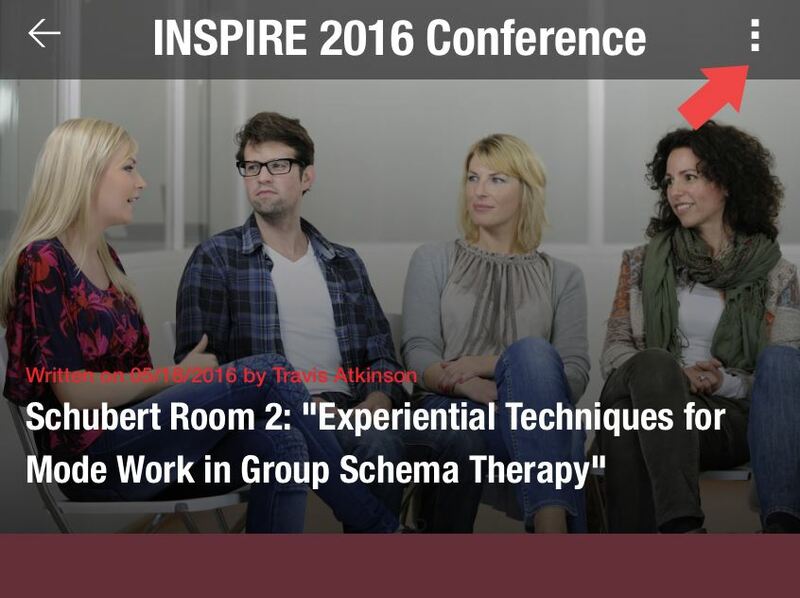 The conference app will be replacing printed brochures or booklets. You can view, save, and download slides for each presentation, and you can use many features with other conference participants--but only if you use the app. Please note: the app can be used on a smartphone or tablet, and you can use it on your laptop or desktop through any web browser. Have an older device (like an iPhone 4/4S), or an older operating system (below iOS8)? Use Safari on your phone to access the app. Take a few minutes now, before you arrive in Vienna, to download the app and choose your favorite events in the "Favorites" section of the app. You can then easily refer to your top selections by one click on "Favorites." The calendar is set for Central European Daylight Time, so if you are in a different time zone, the app's event times will be off. When you arrive in Vienna, if your device does not automatically change time zones, you will need to change the time zone manually in your device's "Settings." Please use the email address this email is addressed to as your username. 3. 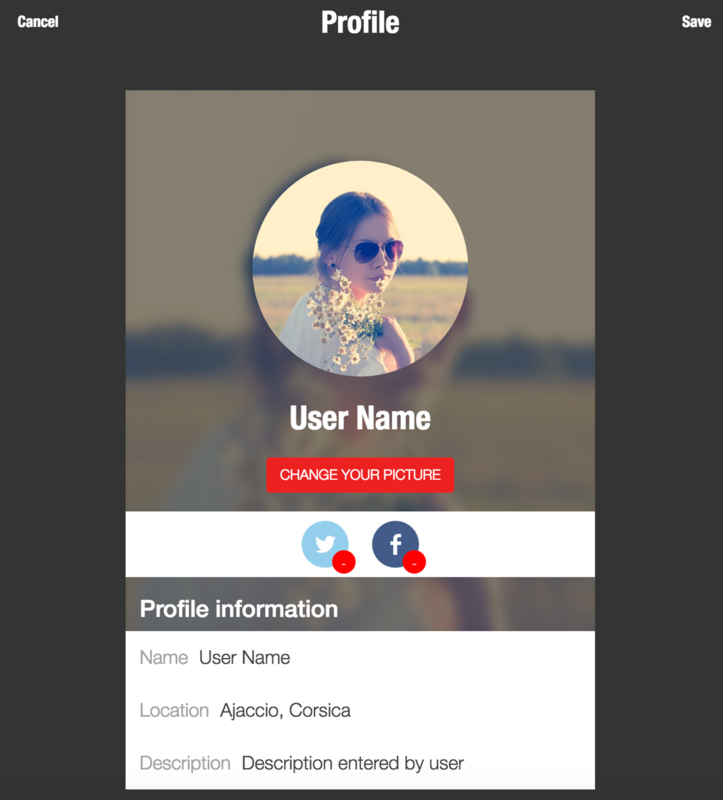 Within the app, click: "My Profile"
Under your username (your email address), type your temporary password. Important: if you do not want other conference attendees to have the ability to chat with you, turn the chat button "Off." The default setting is "On"
5. Press the "Menu" icon on the upper left side. 6. Want kilometers? Click the "Settings" wheel in the main menu. Under "Distances," click "kilometers." The default is "miles." 7. Time Zone: the app is set for Central European Daylight Time. If your device does not automatically change time zones, please go into your device's "Settings" to change the time zone manually when you arrive in Vienna. 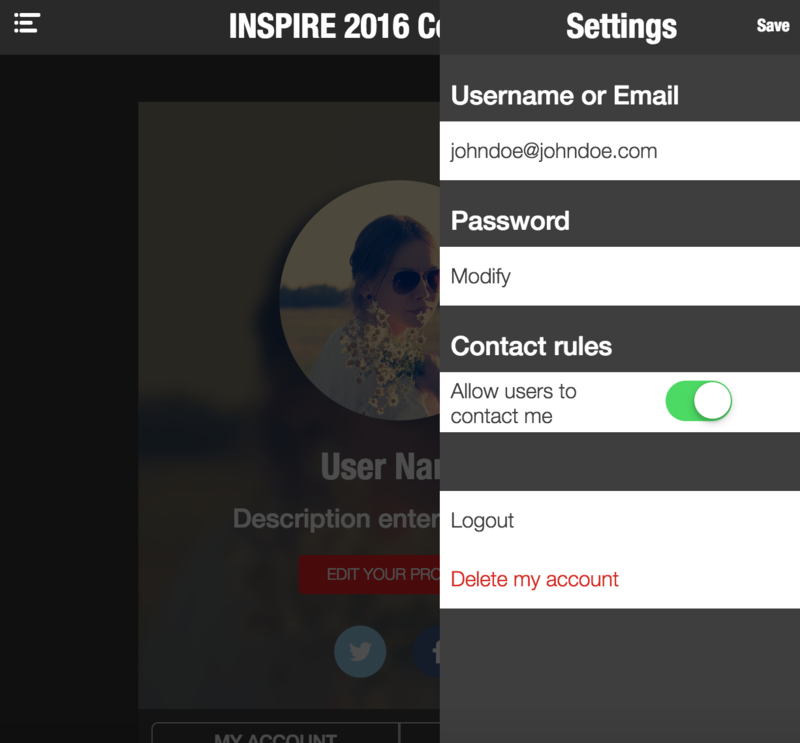 Additional Features: Please read through the many features you have to get the most out of the INSPIRE 2016 app. You can easily personalize your experience through the "Favorites" feature. Mark every event or selection you want to attend as a "Favorite" so that they all appear within the "Favorite" icon in the main menu. For instance, you may want to include the morning yoga activity, a keynote address, your top choice for the morning selection, and your preferred lunch venue (all located within the app). 2. Click the "Star" icon, and your selection will appear in your "Favorites"
Comments within a Selection: when you are attending a presentation or event, you can post comments specific to the selection for either the presenter or fellow participants to reply to. 1. After choosing a selection, click the "comment" icon on the upper right corner of the app. 2. Type your comment, then press "send"
3. Everyone who has the app open on that particular selection will see the comment, and may reply to you. Keep in mind this is not a private "chat," but open to everyone who has access to the app. Slides and Handouts: each selection or presentation may have slides and/or handouts available for attendees. 1. Within the selection, scroll to the top of the text to see "Link to Slides: Click Here." Most of the slides load quickly with a standard connection, however a few are extra large and may require a few moments to load. 2. To download, save, or print the slides or handouts before the conference, please click the appropriate icons within the slide or handout. See a list of conference attendees. Want to catch up with someone? Send them a message. View several images of the conference venue at Messe Wien to see where your selection is located. Want to chat directly with another attendee? Click the "Chat" icon, and as long as the other attendee has their chat "on," your message will go to him or her directly. Want to disable "Chat?" Click "My Profile" in the main menu, then click the "Wheel" in the upper right corner for "Settings." Under "Contact Rules," switch the lever to "Off." Lunch in Vienna: see a list of cafes and restaurants near the Messe Wien venue for lunch. You can plan ahead by including your top picks in the "Favorites" feature. Dining in Vienna: see a list of highly-rated restaurants and cafes in Vienna to make your choices. You may want to reserve a table in advance. The Google Maps feature is included to help guide you. Top Attractions: view the top attractions in Vienna, with short descriptions that include a Google Maps feature so that you can easily find them on your device. Getting Around: find out more about the Messe Wien venue, transportation options, and a map of the Vienna city layout with descriptions of the nine top districts. Top Sights in Vienna: see a list with descriptions and Google Maps to some of the top destinations in Vienna. Plan ahead to get the most out of your Vienna experience. App Tutorials: need extra help to navigate the app? Watch several videos that help users become familiar with several app features.